Home / Uncategories / Emir Of Kano, Alhaji Muhammadu Sanusi 11, Has Called For Drug Test On Ministers, Governors And Traditional Rulers In Nigeria. 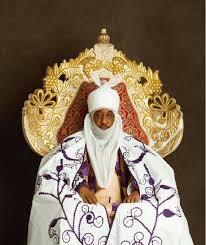 Emir Of Kano, Alhaji Muhammadu Sanusi 11, Has Called For Drug Test On Ministers, Governors And Traditional Rulers In Nigeria. He made the call at the Senate Roundtable on drug abuse held in Kano on Monday. The event is organised by the Senate in order to address drug abuse epidemic in the country. He said the call was necessary in order to ensure that anybody was not allowed to hold political office and traditional leadership positions. “I suggest that ministers, governors and traditional rulers should go for drug test because when youths understand that they cannot be governors, ministers or senators if they are drug addicts, they will be into their senses. “The country is facing a great danger because the fight against drug abuse has to be taken seriously if we are to succeed,’’ he said. While calling for effective implementation of the laws against drug abuse in the country, the first class traditional ruler also urged the Senate to ensure proper funding of all agencies charged with the responsibility to enforce the laws. “We are deceiving ourselves if we don’t believe that we are part of the problem,’’ Sanusi said. Besides, the emir called for the establishment of modern rehabilitation centres for victims of drug abuse in the six geo-political zones of the country. He, however, called for adequate funding of the centres to enable them operate effectively and serve the purpose for which they are established.